This is the first contribution from Anders Lundquist, a rock journalist and singing bassist based in Stockholm, Sweden. He will be more formally introduced in an upcoming article. British gentleman Glenn Hughes â€“ singer, bassist, songwriter and guitarist â€“ is one of the most legendary frontmen in hard rock. He started his career in Trapeze, was asked to join Deep Purple for their legendary Burn album (together with David Coverdale, with whom he shared the vocal duties), and stayed with them until the breakdown of the band after the underrated Come Taste The Band album. Heâ€™s since then collaborated with the likes of Pat Thrall, Gary Moore, Tony Iommi, Tom Galley of Phenomena and countless other musicians. However, the 80â€™s was a bad time for him. He had started doing cocaine in the 70â€™s and now drink and drugs ruled his life and he didnâ€™t seem to be part of any long-lasting project. Having finally battled addiction successfully almost 20 years ago, Hughes entered a new phase of his career, making a string of highly acclaimed solo albums (some with a detectable soul influence) at a high pace. 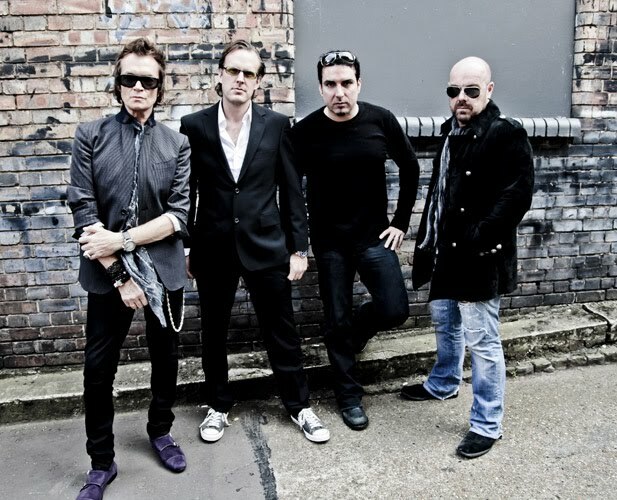 As if that wasnâ€™t enough, he recently formed super group Black Country Communion together with Joe Bonamassa, Jason Bonham and Derek Sherinian. Hughes also has his own radio show on Planetrock.com, and is currently working on his autobiography. 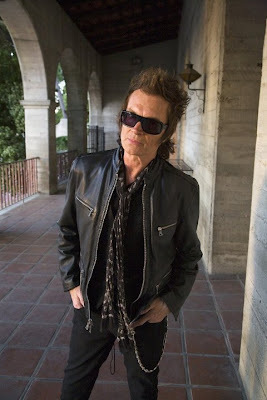 Somehow Glenn Hughes managed to find time in his busy schedule find to talk to Singingbassist.com. SingingBassist: Whatâ€™s your main drive and motivation these days? Glenn Hughes: Songwriting. The songs are sooo important. We have been trying to write together as well, and thatâ€™s something Iâ€™d like to do more of. On a personal level, all I want to do is have a family, feel healthy and focus on the music. I wasted too many years on tequila, cocaine and women. SB: Please give us a brief history as a bass player. When did you start playing and how did it develop? GH: I started out as a guitarist, as a lot of bass players do. My main motivation was wanting to play with Mel Galley, who was my hero. Which I did. I was 15 at the time. SB: Did you have formal training, and do you think thatâ€™s important? GH: No I didnâ€™t. But there are no rules. If it works, it works. SB: When did you start to sing and play bass at the same time? Can you describe how you approached it, and how you overcame any difficulties? GH: I had no ambition to be a lead singer to begin with. I started out as a backing vocalist, which gave me time to work out how to do it, without getting the full attention as a front man. When I switched to lead vocals, I was ready. But I never had any ambition to be a lead singer, people heard me sing, suggested I sing some more. It just happened! SB: Do you still work on developing your chops, or do you mainly sit down to write and learn new material? GH: I do practice scales, both as a bassist and a vocalist. Iâ€™ll always be a student. I use my iPod for practicing. I also listen look to other types of instrumentalists, like jazz pianist Herbie Hancock, for inspiration. SB: You always seem to play what suits the song. Was there any period when you, in retrospect, feel that your playing was too busy? GH: I donâ€™t think so. I know when to leave space. A lot of bass players want to be lead guitarists, if you know what I mean. I wonâ€™t mention names, but I think you know. SB: What are your main strengths and weaknesss as a bass player? GH: My strength is grooves. Also, being a former addict, Iâ€™m pretty fearless these days. SB: Which singing bassists do you feel related to? GH: Jack Bruce , whoâ€™s a good friend, has always been very inventive. And Paul McCartney, of course. I think itâ€™s wonderful the way he figured out bass parts when the song was almost finished, and how heâ€™s just kept going instead of looking back. SB: Youâ€™ve played with quite a few different drummers, with very different styles. With whom do you feel most comfortable playing? GH: Jason Bonham, of course. Chad Smith from The Red Hot Chili Peppers. And Steve Gadd. Theyâ€™re all different, but they bring out the best in me. Itâ€™s as important to listen as it is to play. SB: Do you write songs on the bass? GH: Sometimes. I wrote (Deep Purple classic) You Keep On Moving on the bass, obviously. Addiction as well. And Beggarman from the first Black Country Communion album. SB: What equipment have you used over the years, and what are you using now? GH: I donâ€™t think there have been any revolutionary changes when it comes to equipment for a bass player. I use the Ampeg SVT amp, and a Bill Nash 57 Precision relic bass . Bill is an American based in Australia. His basses sound as good as originals from the early Sixties. I also love the Fender Jazz Bass. I have one from 1963, and Iâ€™ve been playing Fender since 1968. For strings, I use Dâ€™addario. I like the sound thatâ€™s like a piano stringâ€¦rounder. SB: Back in Purple, you were also famous for playing the Rickenbacker bass. But you stopped? GH: I got tired of it. The Rick has personality and can be great for straight ahead rock, but it also has obvious limitations and donâ€™t really work for funky things. But most of all, itâ€™s the person whoâ€™s playing the instrument. Great players are usually easy to identify, regardless of instrument. SB: Do you have any general advice for aspiring singing bassists? GH: Practice as much as you can, play and sing at the same time, and remember that itâ€™s in the notes you donâ€™t play! Also, donâ€™t give up if itâ€™s difficult. When youâ€™ve mastered a new song that once seemed impossible, youâ€™ve reached the next level. SB: Finally, some words on the second album by Black Country Communion. How do you think â€2â€ differs from the first one? GH: Lyrically, itâ€™s a lot darker. I had a lot more time to write the songs. I tried to write songs about the dark times weâ€™re going through, but without losing the swagger. Everyboy in the band was invited to write, but Joe was busy with his solo career and I had the tim, so went for it. Iâ€™m very proud of the result. It was actually our producer Kevin Shirleyâ€™s idea for us to make two albums within a year, to have more material to choose from live, and itâ€™s working. We are recording a live DVD in July. SB: A lot of super groups only last for an album and youâ€™ve already made two, with a DVD on the way. Have you taken any steps to avoid the usual mistakes people tend to make? GH: We take time out to do stuff separately. And you need to understand that thereâ€™s a different energy in this band â€“ we actually enjoy each othersâ€™ company! I’m happy to announce an upcoming book detailing the history and evolution of bass guitar composition and performance in rock and roll, written by Dennis Alstrand. Dennis has contributed a lot to the Singing Bassist project, in terms of detailed articles and an instructional video. The book’s cover is being designed by my wife, who also designed the cover of the Singing Bassist DVD. The Authorized Biography of Paul McCartney, “Many Years From Now”, by Barry Miles. Barry Miles wrote his authorized Biography of McCartney in 1998, based on hundreds of recorded interviews with McCartney, and although it is a bit spooky to read a biography about somebody who’s still alive and producing, this book is anecdotally interesting. Unfortunately the concentration on musical aspects in the book was a bit thin, but what can a writer know about playing bass guitar? At least Mr. Miles didn’t speculate too much about musical aspects…and McCartney graciously expounds upon his performing and his songwriting in the many entertaining interview excerpts which are included in the book. Paul started playing guitar at the relatively late age of 14, compared to current children and current artists who start playing when they are 10 or even younger. When his mother passed away he concentrated his energy on music and obtained a Zenith acoustic guitar which he restrung for playing left handed. His father played piano by ear and despite his father’s expressed wish that Paul take proper Piano lessons, he taught himself piano, writing the tune for “When I’m Sixty Four” when he was 16 years old. Paul’s father worked in a music hall and heard the same song twice a night for a week. So Mr. McCartney brought this Vaudeville music home with him and also instructed the McCartney boys about identifying harmony. Paul attributes his ability to harmonize with John Lennon to lessons which he learned from his father. Paul’s grandfather played the “E-flat” bass and Paul’s father would point out the bass-lines on radio-songs to Paul during his childhood. It was Paul McCartney who taught John Lennon how to tune his guitar, and it was he who taught John many guitar chords. Because Paul was left-handed and John right-handed, they could face each other with their guitar-necks at the same side, their fretboard-hands mirror-reflections of each other. This mirror-image of their fretboards meant that they were likely more focused and concentrated than, say, two right-handed or two left-handed guitarists would have been, having to look over to the opposite side of each fretboard to see the other. When writing a song, its useful to be able to look at one’s own fretboard, and when co-writing a song, it is very useful to have both fretboards close and within immediate visual range. Fast-forward to the Beatles burgeoning career in Hamburg, Germany, in 1960, where their then bassist Stuart Sutcliffe decided to leave the Beatles. Paul had played his guitar until it broke, then played Piano as that instrument was on every music-hall stage. As he owned no instrument at all, it made logistical sense that Paul would man the newly vacated role of bass-player. In the early 60’s, a band would often have a rotating “lead vocals” role, and the Beatles were no exception. Even Ringo had at least one song on which he sang in every performance set-list and on every album. These songs were initially written by Lennon/McCartney, but towards the end of the Beatles’ career together it was Ringo who would write songs his own songs himself. Back to Paul McCartney, one of his first “biggies”, one of his first solo-compositions which made it big was “All My Loving”, a song whose text was written first, and whose melody was subsequently written on piano. Paul was initially a guitarist (or more accurate, initially briefly a trumpeter and then a guitarist), and was early on fluent on the piano too, using it even to write songs from the age of 16 onwards. Ringo Starkey joined the group at their recording producer’s insistence in 1962. Pete Best had a different attitude than the rest of the group, Ringo was a renown drummer in Liverpool and had filled in for Pete Best in Hamburg, and George Martin found that they needed a more convincing drummer for their studio work. I personally speculate that Ringo and Paul rhythmically clicked better than Pete and Paul because both Ringo and Paul are left-handed. Normally I write on guitar and have full chords, or on the piano and have full chords, but (“You won’t see me”) was written around two little notes, a very slim phrase, a two-note progression that I had very high on the first two strings of the guitar: the E and the B strings. I had it up on the high E position, and I just let the note on the B string descend a semitone at a time, and kept the top note the same, and against that I was playing a descending chromatic scale. Then I wrote the tune for “You won’t see me” against it. I changed it but it was still a two-note thing but instead of it going down I pushed it up and then came down again; just a slight variation. It was 100 per cent me as I recall, but I am always quite happy to give John a credit because there’s always a chance that on the session he might have said, “That’d be better.” To me, it was very Motown-flavored. It’s got a James Jamerson feel. He was the Motown bass player, he was fabulous, the guy who did all those great melodic bass lines. It was him, me, and Brian Wilson who were doing melodic bass lines at the time, all from completely different angles, LA, Detroit and London, all picking up on what each other did. The book details the growing rivalry between composer/arranger/bassist Brian Wilson and the Beatles. 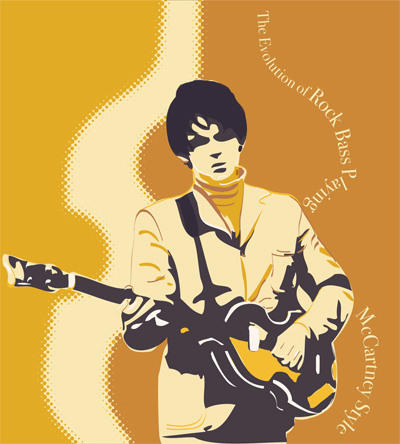 Paul was particularly strong in his praise of the Beach Boys’ response to Rubber Soul – Pet Sounds – because Brian’s bass playing showed that the bass can weave its own melody around a chord, rather than just playing the root note of the chord. Strangely enough, no mention of the title-phrase is made in the book, so the titling is a bit mysterious. Calling in at 655 pages, Many Years From Now is surprisingly bereft of songwriting strategies or performance anecdotes of any great utility to singing-bassists. This is a void which must be filled. A great many musicographies about Paul McCartney exist, but a Singing-Bassist Analysis on Paul McCartney is not yet existent. Watching Suzi Quatro shred on the bass while singing lead makes you think that there are two different performers on the stage doing those roles. Her bass playing is autonomous and sovereign, and her vocals and audience interaction are first rate. Suzi Quatro the bass-player and Suzi Quatro the singer and audience-leader rarely interact with each other, which increases the mystery and the intrigue of her live performances. For these reasons, I worked long and hard to organize an interview with Suzi Quatro. Her musical talent is astounding. She makes playing bass and singing simultaneously look as easy as lying on a beach and reading. She does it naturally, breezily, all the while making great sounds and holding the entire audience in thrall. Singing Bassist: Which Bass Players and Singers would you consider to be your influences? Suzi Quatro: Bass Players would be Jamerson from Motown and the bassist from Canned Heat (Larry Taylor), he was really good. Those are about the only two, really. Among Singers it was Elvis Presley, Otis Reading and Billy Holiday. SQ: Its a tribute to Elvis called “Singing With Angels”. It came out for download on January 11. I recorded it in Nashville with James Burton on guitar and the Jordanaires on Backing Vocals. SB: Very cool. You more or less began your career as a singing bassist. Did you ever have any apprehension about fulfilling that role? SQ: No, not a moment’s concern. It came very naturally to me. Maybe because I am ambidexterous. I played bongo, then I played piano, also two hands. Then I played proper drums on a kit. So I didn’t even think about singing and playing bass. SB: When you went to London to stake out a solo career, did you ever consider recruiting a bassist and just continuing on as a singer? SQ: Oh God no. Never. The only time I ever used a bass-guitarist was when I had a broken arm and I had a sold-out Australian tour, booked, and I had to go, so I had to take a bass-player. SB: Why do you continue to enjoy playing bass and singing? Is there a certain band-dynamic which you particularly enjoy? SQ: Well its what I do. I am a bass-player singer. It would be like Paul McCartney going up there without his bass… I am a bass-player singer-songwriter. SB: What do you like to have in your monitors? SQ: Well, I’ve got in-ears. I like a blanket mix, naturally, of everything. Quite a bit of drums, because the drums and the bass have to be identical together. I like to have my bass slightly higher so that I don’t over-play. And of course my voice right up there. A blanket-mix underneath. SB: You mention in your autobiography that your song, “She’s in Love with You” was rare in that it was the only song on which you had to practice in order to bring the playing and singing together. SQ: Yeah, its the only song I ever had to do that with, and the reason being is, its a “machine type” bass-riff. It doesn’t move, just like a machine, its relentless. And the vocal is behind that, the vocal goes behind the beat, and the bass-riff is exactly on the beat. I don’t think about it anymore while performing, but when we first did the song, I had to go over it a few times. Eventually it just slots in. SB: Was that practice solo, or with the band, in order to get that syncopation down? SQ: No I just practiced it on my own, just played it and singed it until it just felt right, until it slotted in. Once you get those types of things down you wonder why it was ever a problem. SB: Do you find yourself slowing down the playback and then gradually speeding it up? SQ: No I don’t slow it down, no. You should do it as it, but like I said, its the only song that I ever had to put any thought into singing and playing that I ever did. SB: Do you play bass at home on your own or do you play more piano on your own? SQ: I play bass all the time at home, especially when I am getting ready for a gig. I put on one of my live CDs and play along with that. I’ll go through the whole show like that in my front room. When I’m writing I tend to sit with the guitar or the piano. SB: You never play the bass-guitar with a pick. Why not? SQ: I am not natural with a pick. Even when I play guitar, I don’t use the pick. I’ve always been a plucker, that’s the way I am. I don’t like the sound of the pick on the bass-guitar. I like the thump of the fingers on the strings, that’s how I like it to sound. SB: You rarely look at your fretboard. Do you have any specific techniques for avoiding looking at that? SQ: No techniques. I play piano without looking at it either. I think you just get to know your instrument. Once you’ve learned piano, that’s your basis for everything. You can then play any instrument, the piano is for learning. SB: Do you record in the studio as a band in the room, every member playing simultaneously? SQ: We try to, yes. I prefer that. You’ll put down a scratch vocal, which will do as a guideline for everything. Usually the vocal does go down separately. SB: Which is more important for singing and playing, group rehearsal or solo practicing? SQ: I do it all together, you have to play all the time, in fact I will do some playing today. You have to keep playing all the time to keep your fingers calloused. SB: Do you have any general recommendations for bass-playing singer-songwriters? SQ: I don’t like to hear somebody play the bass as if its a guitar, as if they’re a frustrated, failed guitar-player. The bass is the musical note of the bass-drum. You got to work with the drums to make it sound right. The bass and the drums drive the band, that’s the engine. What I learned from this interview was that, singing bassists who start off by playing piano are already equipped with an internal sense of syncopation. Even between the two hands on the piano, there is a large requirement of muscle memory. Singing pianists are especially capable of picking up the bass guitar and playing and singing. A very large “Thank You” goes to Suzi Quatro for her time and insight for this article, and for the inspiration leading to the discovery of the niche which I am looking to reach. This interview really helped refine the overall aims of this project. For this, I am truely grateful. 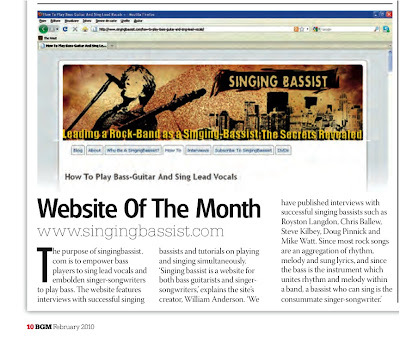 It is a great honor to be named by Bass Guitar Magazine in the UK, as “Website of the Month“, February 2010. I must admit I didn’t see this coming when work started in summer 2009. Many thanks to the interviewees and readers who have continually given their input and feedback. Without their kind contributions there would have been nothing to post at all. A walking bass-line consisting of almost only quarter-notes, with relatively easily memorized vocals, Paul McCartney’s All My Loving is a great song to try out when starting to play the bass and sing. I first started by learning the bass-line and striving to play it without looking at the fretboard. But you will see in the band rehearsal video, old habits die hard! I am still looking at the fretboard!! Not to an extent which it hinders my singing. This is seriously a very simple song to pull together on the bass while vocalizing. If you find yourself tapping your foot to the original recording, then you already know the tempo and structure of the rhythm of the bass-line. If you can tap your toe to that beat and whistle the melody, then you already have 90% of the music knowledge you need to execute this simple syncopation. Get access to tutorials, every interview conducted to date & be the first to know about new interviews with professional singing bassists. Welcome to the Singing Bass-ment, the Singing Bassist store!